So I got my father's Atari 800 out again recently, and tried to start figuring out just what upgrades he had done to it, and how they might be useful. He told me at one point, and this was something like 30 years ago, that he was trying to get the 800 so that it would work like an XL (I had the 800 XL). 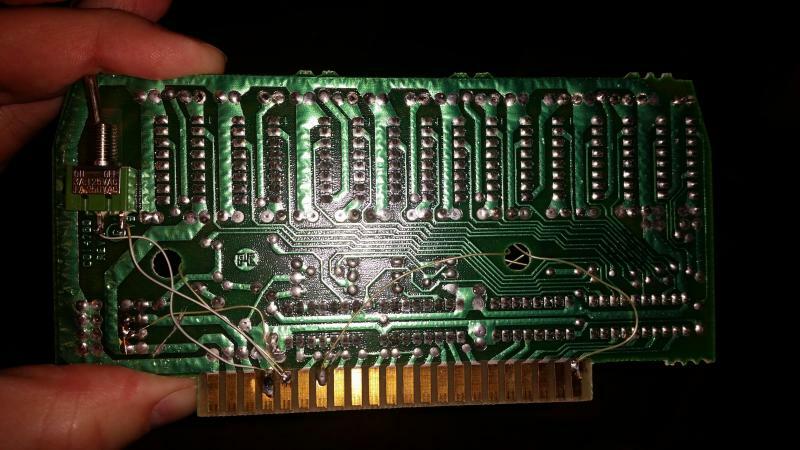 The OS board has had work done on it, and the #2 memory card has a switch. Using SysInfo, it shows a 1920K (!) Axlon RAM bank. Searching AtariAge last night, I couldn't find a way to get into that bank for testing it, but I was able to use a couple of ATR files off of my SIO2SD to get it to successfully create a RAM disk. But I still have no idea what the actual capacity is. Here are some photos. 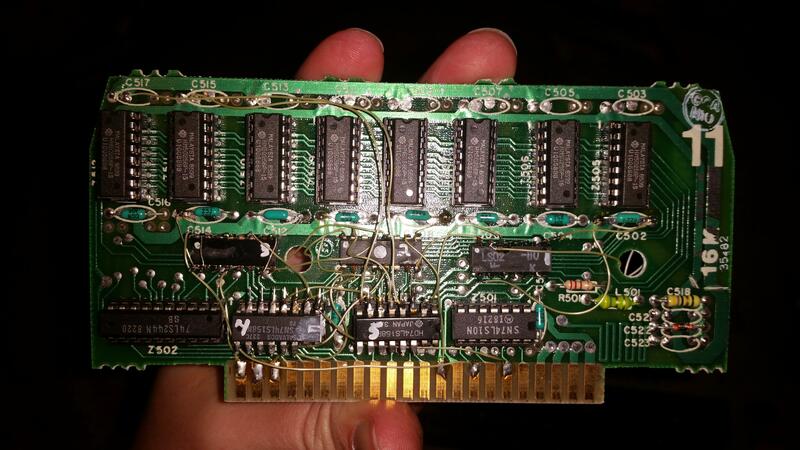 All cards in the Atari 800 with the top off. Total ram installed is 256 +16+16 = 288K. It is unusual for mods on the os board like that. Should also check the mother board for mods as well. Axalon ram switching is usually done at $CFFF. 0=main bank. I haven't had the entire case open in a very, very long time, but I know the original video cord for TV display has been cut off. That's the only thing I would vouch for right now. If I get time tomorrow, I will try to get the entire case opened up and photographed. I've never seen one but could this be the Byrd 256K upgrade? Edited by a8isa1, Sat Nov 25, 2017 9:56 PM. Agreed; definitely check what's inside. And apologies if any of the below is at all vague or inaccurate, but it's been a long time since I had a modified 800. 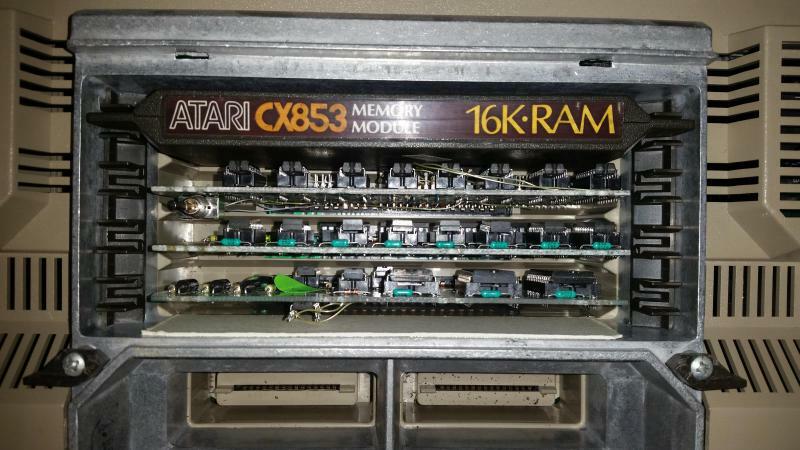 My 800 ran a similar set of modifications back in the day, but with a much lower total amount of RAM (128K) in a 2x32K plus 1x64K configuration. 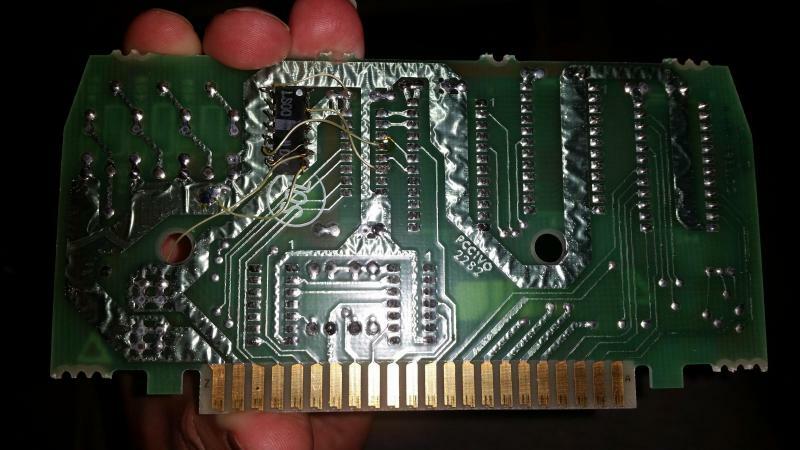 At least one of the memory cards appeared to be a standard 16K Atari RAM card, but if you pulled it out you lost 32K. The part number on the OS card at IC location A401 corresponds to the Rev. B NTSC OS, so that IC at least is probably stock. 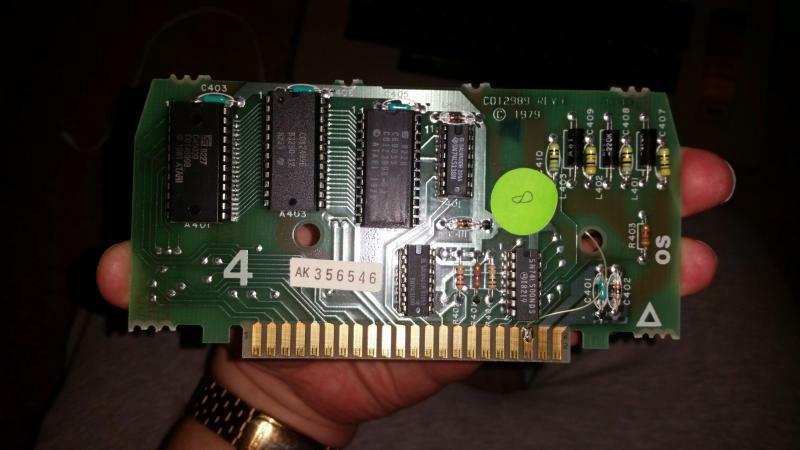 The switch on card #2 may be there to select between regular 16K operation and however much memory was installed on it beyond that. I seem to recall that there were some modifications that supported this, but don't remember specifics. Does anyone have the pinouts for the RAM and OS cards available? I've searched but can't find them, and they'd definitely help with trying to figure out what's going on here. What I'm seeing is ringing bells but my mind's not quite dredging up the info. Edited by x=usr(1536), Sun Nov 26, 2017 7:58 AM. there just is no software for the Byrd. It does look like the Byrd mod but modified to select banks like an Axlon. 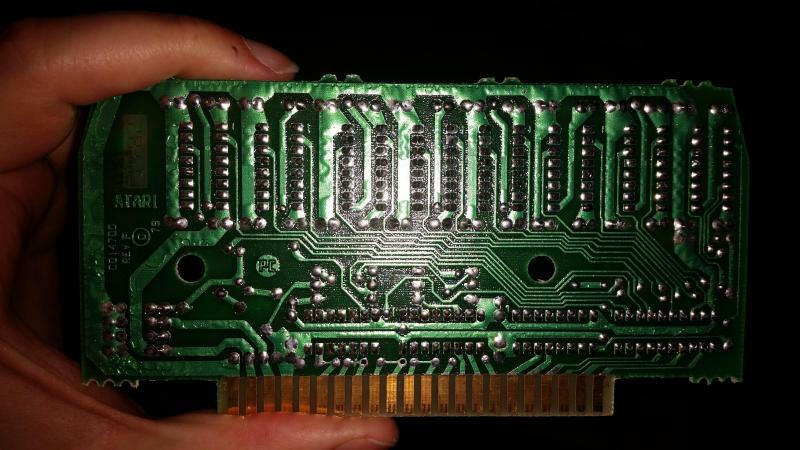 The nand gates added to the OS board are wired to S6 and A12, so they decode Cxxx instead of D7xx. 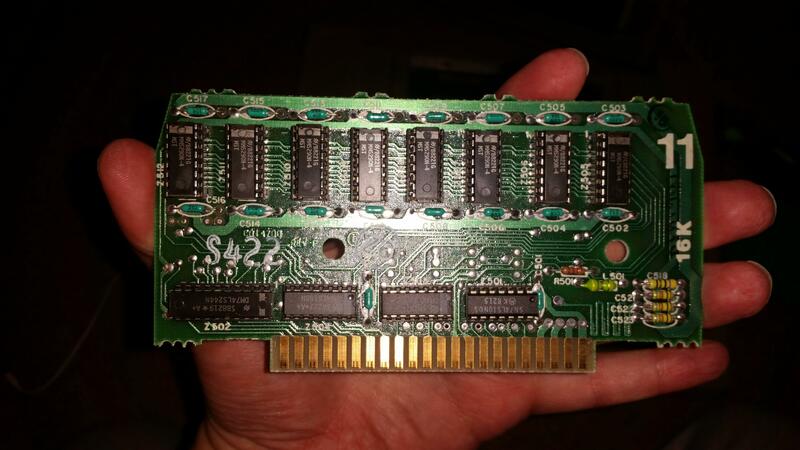 But none of that is like 800XL RAM, so I'll urge you like the others to look at the third RAM board. For schematics, search the forum for Jerzy Sobola's work. card slot edge as pictured here. how to do it pictures John. To convert your Byrd to Axlon, add a 74LS138 to the OS board instead of the nand gates. Wire S6 and A12 to pins 4 and 5, A11 through A8 to pins 6, 3, 2, 1, and pin 7 to edge connector 20. That will decode addresses CFxx, more safe than the whole 4K block at Cxxx.